A 15% gratuity will be added to all charges under the rates. If you would like to work flexible hours, meet interesting people and be part of an award winning organization with over 50 years of experience in ground transporation, we may have a spot for you! You provide… a dedication to superb customer service. 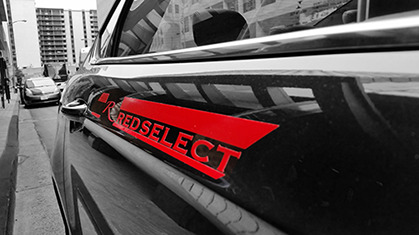 If you are an experienced sedan service/limousine service driver with your own luxury vehicle, no more than five model yaers old, we may have a spot for you in our Red Select Black fleet.